Don’t let the high payouts fool you. At Ezy Car Wreckers, we buy all makes and conditions of cars. Get top cash by calling us. 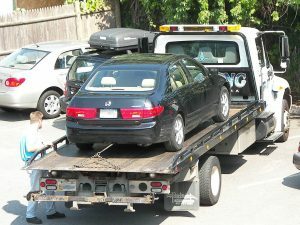 We guarantee to buy your car and remove your car for free. At Ezy Car Wreckers, we pay Top Cash For Cars of every make and condition. When you need a car removed today, give us a call, and we’ll get there today. When you want top cash for a car, give us a call, and we’ll make you our best offer. We offer cash for car removals in Adelaide at convenient times for our customers. You have courteous technicians that come to your location in Adelaide to buy & remove the car at a time that fits your schedule. Our technicians are quick to provide car removals and do so in such a courteous manner that you cannot but help to be satisfied with your Car Removal experience. We don’t schedule car removals unless they fit into our customers’ schedules. You have a team of qualified car specialists that make top cash offers and provide courtesy services. At Ezy Car Wreckers, we are a team of qualified professionals that specialise in the auto industry. We make top cash offers, putting our best payment into the hands of car owners with each car we buy. Get top cash for your car for sale by calling us for a quote and to schedule a Free Car Removal Adelaide, Southern Australia. You have everything you need to sell your car, regardless of its condition. With Ezy Car Wreckers we are wreckers & recyclers as well as used car sellers, so regardless of the condition of your car you will get it sold for a payment that likely won’t disappoint you. Contact us for a cash quote today. 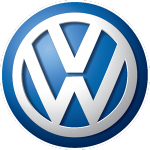 You have a car selling experience that is second to none. With us, we come to you to buy & remove your car. Don’t have a sales contract to ensure the liability of the car is transferred once you collect the cash for its sale? Not to worry. We provide all necessary paperwork at no cost to our customers. You contact us for a quote for your car of any make and condition. Get in touch with us for a quote over the phone or online. Schedule a free removal Adelaide, Southern Australia. We will be there when you say it is a good time. At Ezy Car Wreckers, you have a car removal company that is ready to remove your unwanted car and pay you cash for it today. To obtain a quote, give us a call at the number below. Quotes can also be obtained by filling out our online form at the top right of this page.